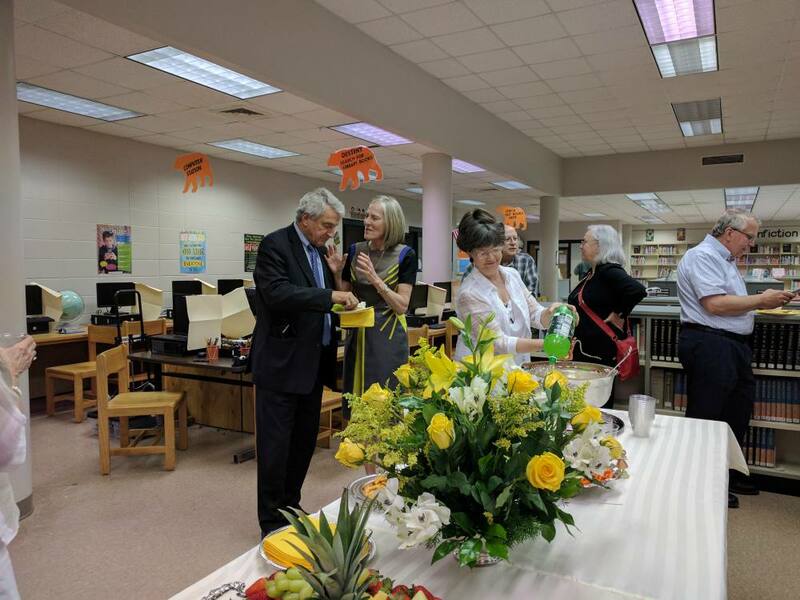 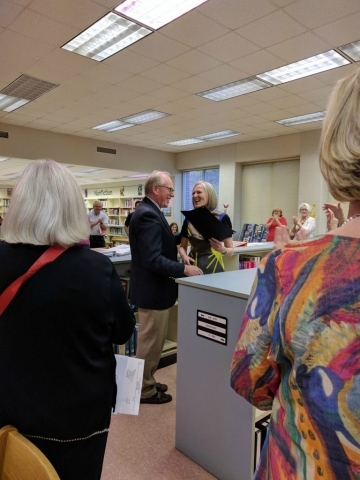 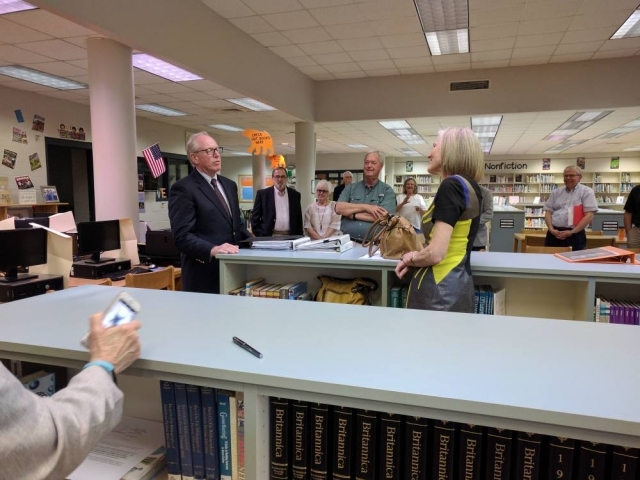 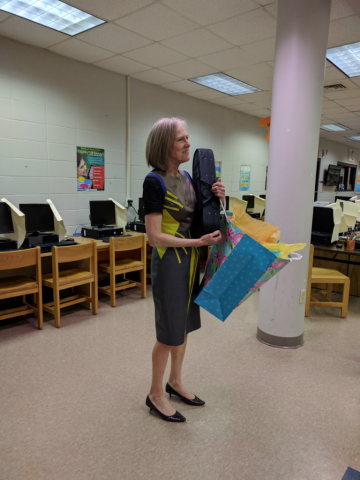 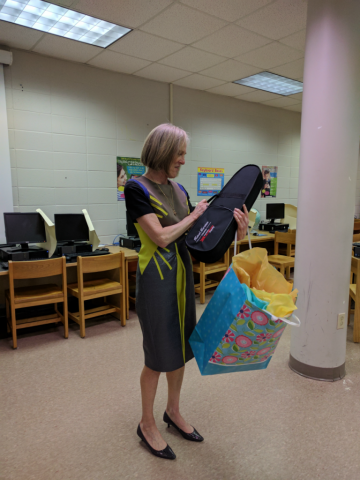 A retirement reception was held on Tuesday, April 26 to honor Sharon Landis, the Decatur Youth Symphony’s first executive director. 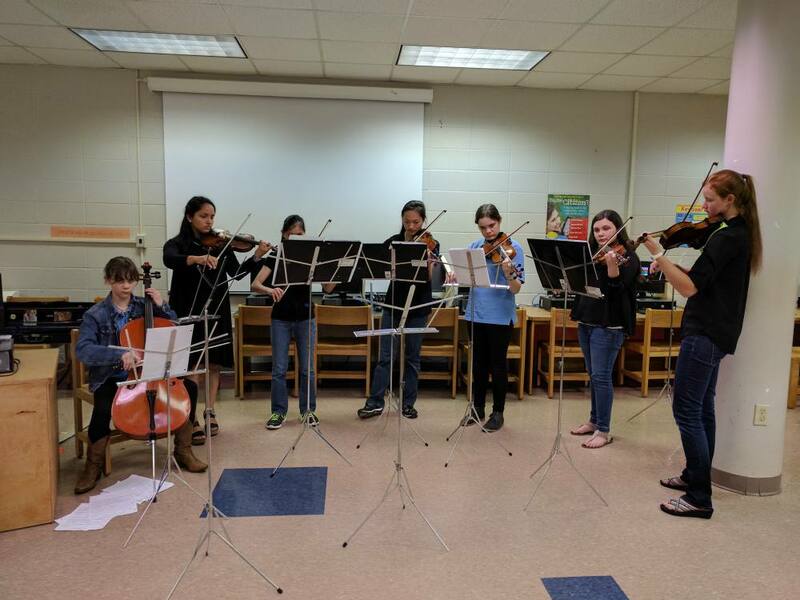 At the reception, members from the DYS Chamber Ensemble performed and an honor was presented to Sharon from the mayor. 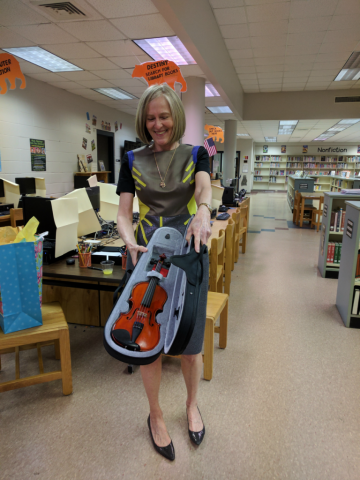 Sharon was presented with a child-sized violin to give to her grandson. On April 25, Sharon was presented the 4-Way Test Award for a Non-Rotarian by the Decatur Rotary.